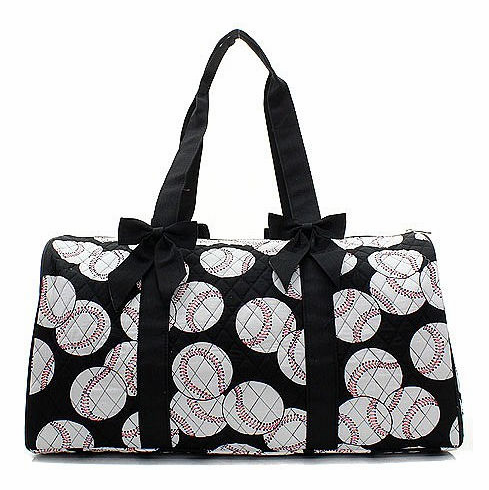 Baseballs on Black Quilted Duffle Bag. Measures appx. 21.5"(L) x 15"(H) x 11.5"(W).